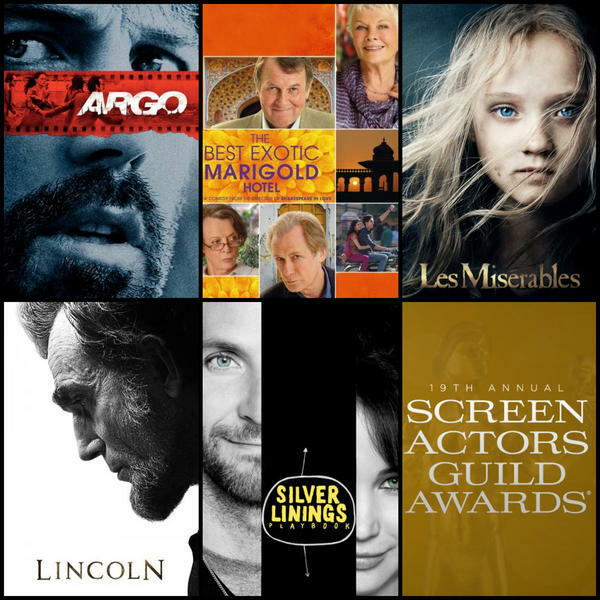 The SAG Awards Blog: Congratulations to all of our 19th SAG Awards Nominees! Congratulations to all of our 19th SAG Awards Nominees! What an exciting morning at the Pacific Design Center, where Busy Phillips and Taye Diggs announced the nominees for the 19th Annual SAG Awards®! It was a very early morning but well worth getting up before the crack of dawn to find out at 5:50 a.m. this year’s Honors for Stunt Ensembles nominees (announced by SAG Awards Committee Vice Chair Daryl Anderson and Committee Member Woody Schultz) and, 10 minutes later, the Theatrical Motion Pictures and Primetime Television nominees by Busy and Taye.